It’s pretty cool that you pay no money at all for software that saves your company money. Whoever said “There’s no such thing as a free lunch” must not have heard about the Free Version of SpendMap. ← Purchase Order Management can be Scary for SMBs! We need an internal requisitions tool to help our business operations.This is not a purchase requisition but rather requisition of items from the warehouse to be used internally. Yes, in addition to Purchase Requisitions, SpendMap also offers Item Requisitions, where the user is simply asking for a list of items that might be coming from your warehouse/inventory. 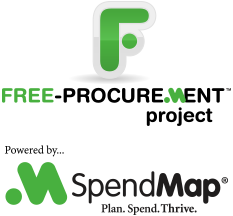 Could you perhaps send me an email at free-procurement@spendmap.com so we can have a deeper discussion? I can send you additional information on Item Requisitions, a video tutorial, pricing, etc. but I don’t want to bog down our blog with all that.